2. DP Electric is one of the 2018 Arizona’s Most Admired Companies, according to AZ Business Magazine and BestCompaniesAZ. All the Arizona Most Admired winners were recognized at an awards reception held Sept. 13, at the Pointe Hilton Tapatio Cliffs Resort in Phoenix. 3. 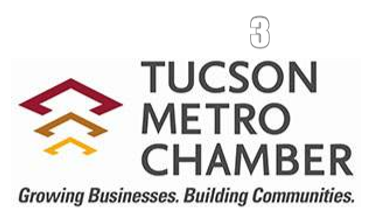 Through the Tucson Metro Chamber’s efforts, Tucson is one of three communities selected as a national pilot program using real-time data. In Tucson, the pilot will link them with southern Arizona employers in the aerospace and defense industry. The new Southern Arizona Veterans Workforce Initiative not only will help vets and their families, but also will bolster the burgeoning aerospace and defense industry. 4. ATC Group Services LLC (ATC) has added a Water Resources Department by hiring HydroSystems, Inc. (HSI) personnel. This move will transform ATC into a recognized leader in the field of water resources in the Southwest. 5. Richard Keil has been promoted to President of the Industrial Group for Sundt Construction, Inc. Keil joined Sundt in 2014 as Senior VP for the Industrial Group after spending 24 years with several major national contractors throughout the South and Mid-Atlantic regions. Sundt has also promoted Teri Jones to President of the Building Group. Jones brings nearly 40 years of experience in the construction industry to her new position. 6. 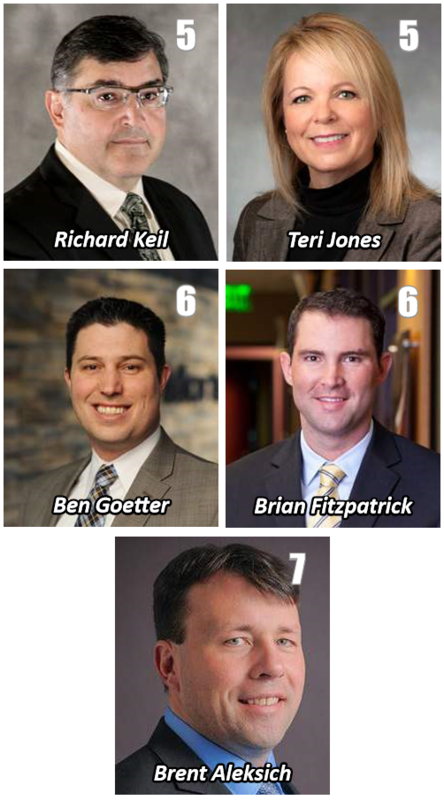 Mortenson has announced two leadership promotions. Ben Goetter has been promoted to VP and general manager. Brian Fitzpatrick has been promoted to director of operations. 7. Burns & McDonnell has promoted Brent Aleksich to Project Manager at its new Tucson office. Aleksich will manage a team focused on designing and building critical facilities and power infrastructure. 8. Velocity Retail Group announced the hiring of Mark Villalpando as Senior VP and Designated Broker of the firm’s newly launched Velocity Management Services division. The division will work with new and existing clients to maximize property value and investment returns. In addition, Villalpando will be the Senior VP of Development for Accelerated Development Services, Velocity Retail’s affiliate company. 9. Avison Young announced the hiring of George Rubelsky as Senior Project Manager, based in the Phoenix office, for the company’s newly launched project management practice group in Arizona. 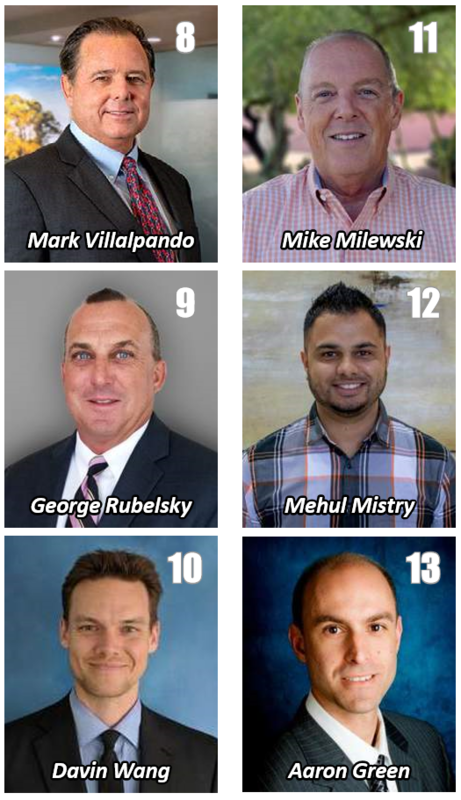 Rubelsky brings more than 30 years of real estate development, project management and construction management experience to Avison Young, most recently as project manager with Sun State Builders in Phoenix. 10. Davin Wang joins the Burns & McDonnell Tucson office as a project manager and business development coordinator for Global Facilities in the Southwest region. 11. W.E. O’Neil has announced the addition of Mike Milewski as Scheduling Coordinator to their team of construction professionals in the Phoenix office. 12. Mehul Mistry joins A.R. Mays Construction as an Assistant Project Manager with more than 7 years of construction experience. 13. Aaron Green, an experienced litigator and transactional attorney, has joined the Scottsdale based Rose Law Group as part of the real estate transactions departments.